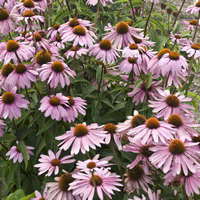 Magnificent sprays of delicate, lavender-purple flowers appear on tall, dark purple stems from mid thru late summer. 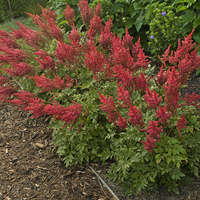 This variety is self-supporting and is less likely to need staking than the others. 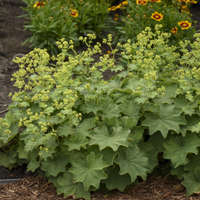 The distinctive green foliage forms a nice, low mound. Excellent cut flower. Use these plants in a wildflower garden where they will naturalize with ease, or as filler plants at the back of the border. Plant in groups of three for greatest visual impact. 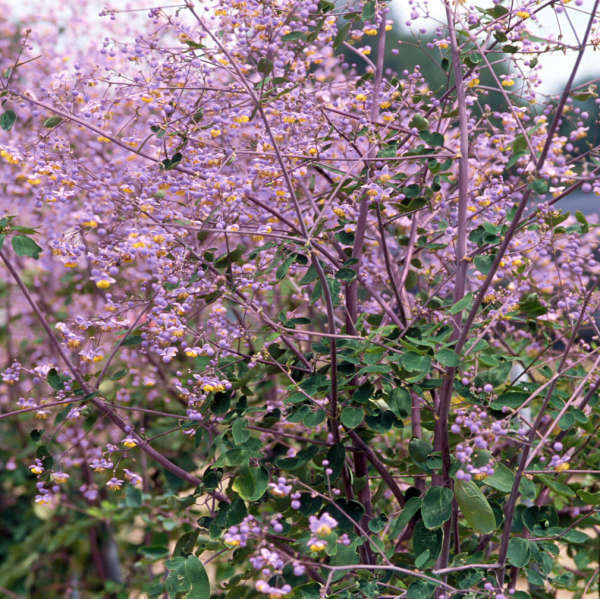 Thalictrum prefers dappled shade, though it will grow in full sun in northern regions if adequate water is provided. Plant in humus-rich, moist, well-drained soil. 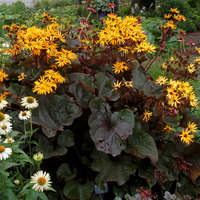 The open, airy habit of this perennial allows you to plant it closer to the front of the border with darker colors behind for an interesting see-through effect. Do not disturb it once it is established. It will live for many, many years without the need for division.